The Wonderland that was in effect on this epic and unforgettable night will stay with me for a loooooong time to come. This is probably one of the best sets i've ever played and one of the best crowd reactions I have ever received. MC Cutter was truly on fire and the last 30 mins of this set are a testament to his skill on the mic. I had the honour of playing a few "yet to be released" tracks from the McMash Clan, most of which come out on the 1st of July this year. Big Big BIG!!! shout and respect goes out to all the crew behind the scenes making Wonderland happen. 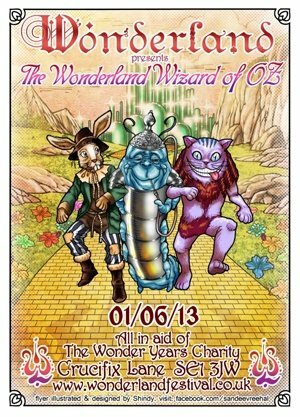 All proceeds from Wonderland go to the Wonder Years charity, supporting small communities in The Gambia.